For more than a decade, the Yachtshare program has proved Yachtshare Ten (10% equity share) to be the most popular option for sharing a yacht. While this may be the most popular, it doesn’t mean it’s the only option. If you want more or less time on the water than the Yachtshare Ten program, a double share, half-share or mix and match shares will meet fit the bill. You may also consider some of our other Share Programs. If the standard 33 days per annum isn’t enough usage or you seek more options for weekends and longer bookings, then a double share (20% – 1/5th) is just what you need. Two shares offer you the option for longer trips, more flexibility and are still significantly less outlay than the cost of owning a vessel outright. With two shares, trips to Lady Musgrave Island or the Great Sandy Straits are very easy to accomplish on your own or you can join the winter excursions to the Great Barrier Reef with your fellow owners. With so many types and sizes of vessels available, sometimes it can be a challenge to choose and with all choices, there is a compromise. Purchasing a share in two or more different vessels can be a solution. 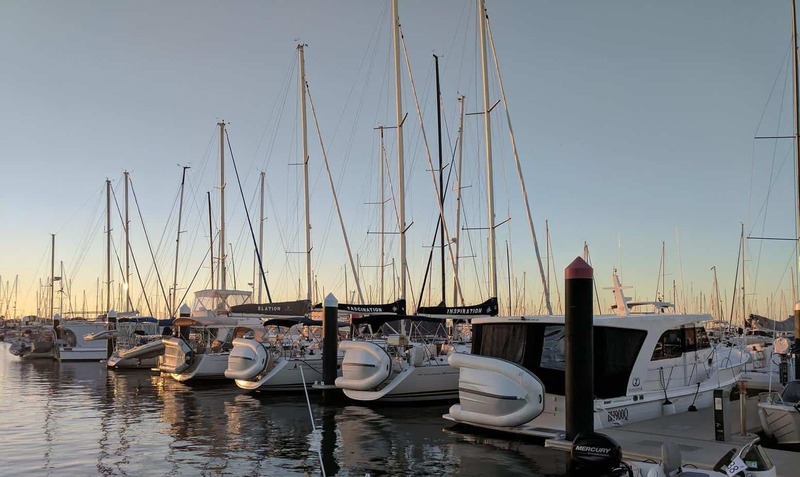 A few days cruising through the Broadwater is ideal on a motor yacht such as Revelation or Temptation, whereas an offshore trip to Mooloolaba or Lady Musgrave is ideal in a monohull yacht like Reflection or Jubilation. Mix and match shares offer the best of both worlds. Even with the two shares, the costs and outlay are significantly less than the cost of owning your own vessel. You can sell your one or both of the shares at any point in time. Contact us if you have other pairings that you’d like to consider. A half-share option in the Yachtshare fleet encourages you to grab a friend and share a share. We leave it up to you how to split your time or perhaps you enjoy sailing together. We have more than a dozen half-share owners across our current ownership group. When sharing a share, Yachtshare provides one invoice per share and you can decide with your co-owner as to who pays for what and how to select your allocated days on the water. You might split in half or you might sail together, the choice is yours. In some instances, we have even paired up like-minded individuals who did not know each other before buying a half-share in their yacht and now they sail together regularly. This scenario can be an ideal option for novice sailors who would like to learn from others. A half-share is also ideal for those that don’t have the time to sail 33-days per year but still want the benefit of shared boating. View our FAQ (Frequently Asked Questions) or Contact Us for more information.